I would like to report about Japan Film Week (11.Dec -15.Dec) in Cairo and “NORIE- GAGA” (Duo of Furuya Director and Sato deputy director) debut in Cairo Jazz Club. The theme of this year is“Spirit of Renaissance in Japan after World War”、We chose this theme as continued historic theme after “Hiroshima” in last year. After that a revolution broke out in Egypt and We suffered from earthquake in Japan. So it is not only “spirit” in the past, but also current important theme for both of us. In line with the theme we showed “Best wishes for Tomorrow ”,”Cupola- Where the Furnaces glow”, “Always -sunset on the 3rd street”, “An Engineer`s Assistant”, “Children in the class room”, “Madam Onboro History of postwar Japan as told by a bar hostess". Just before Japan film week, there was crash in Tahrir Square again and we had to close our office for a couple of days .So Publicity of Japan film week was not enough, but the 200 - seat theater had been full in the opening day. 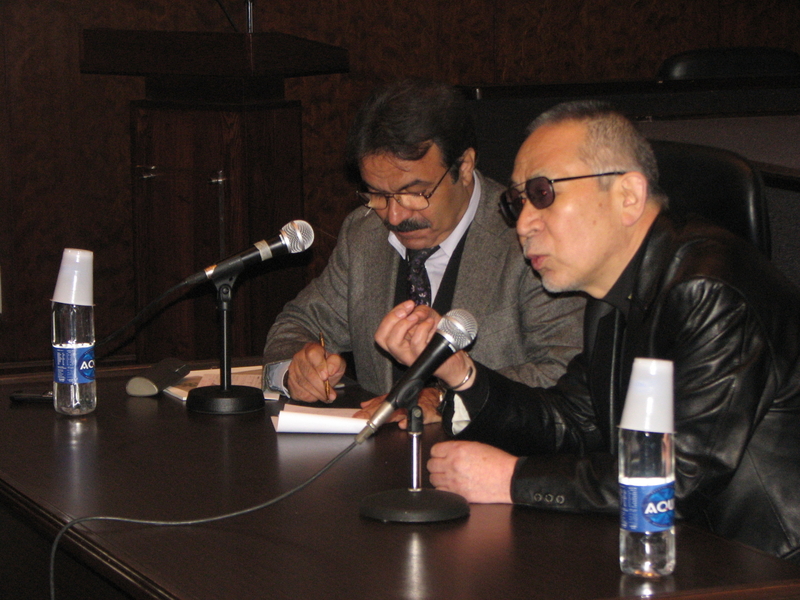 We had a director of “Best wishes for Tomorrow ”,Takashi Koizumi as our guest for the opening day and after screening the film, we had talk show of Mr. Koizumi moderated by Dr.Essam Hamza, a professor at Department of Japanese language and Literature, Faculty of Art, Cairo University. Because the film on the theme of Military court and most of the setting of scene were in a court or a prison, I was a bit afraid that Egyptian, who is so called “Dam hkfif (light blood ＝cheery)”、were able to take this quiet, serious story. However, such concern proved unfounded. People watched the film seriously and were deeply moved by the film. Egyptian audience was impressed by Mr.Koizumi when he answered for question from audiences politely. Mr.Koizumi was also glad that Egyptian audience watched film with enthusiasm and told he might come back to Egypt again for “Kurosawa film week” next year. Egyptian`s most favorite film is “Always sunset on the 3rd street”. 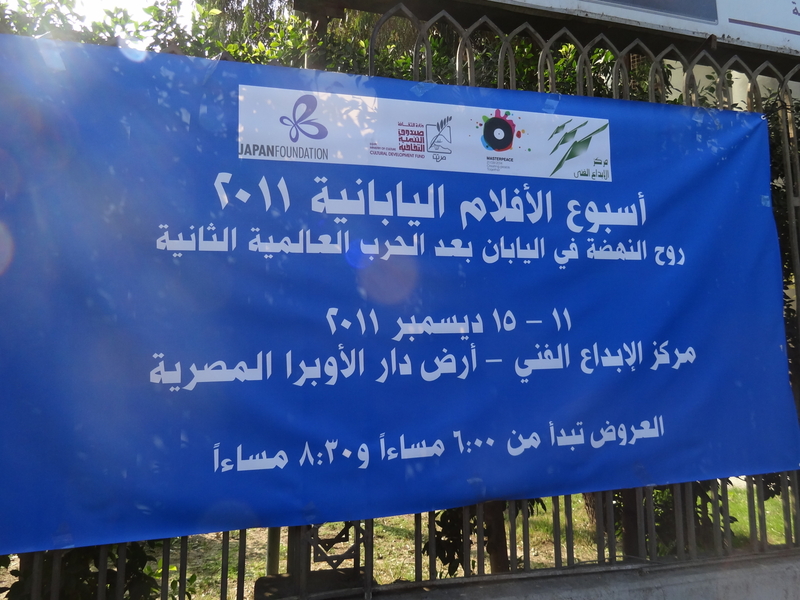 The film grabbed Egyptian`s attention from the beginning and they enjoyed film with weeping, laughing and clapping of hands. They said there was everything what Egyptian loved in this film! A lot of people came to see this film again with family. 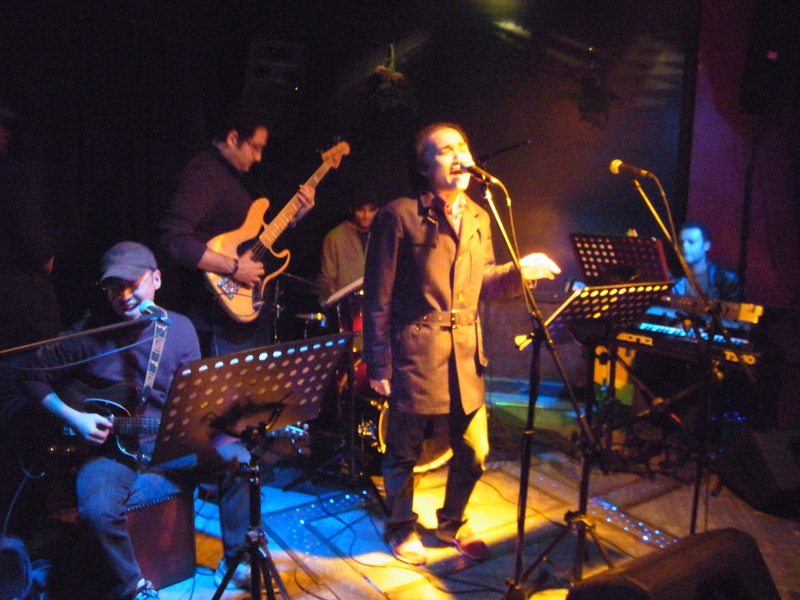 “NORIE- GAGA” (Furuya Director and Sato deputy director `s duo) featuring “Amro Salah Trio” (Egyptian Jazz Trio) and a guest vocalist MS.Hori from JICA had Japanese Pop music concert in Cairo jazz Club on 20th of December. They played best selected J-POP music such as “Kattute ni siyagare”, “Simauta”,”Ihojin”,”manatu no kajitu”,”Ue wo muite aruko”(famous as “Sukiyaki”).They brought a lot of excitement to Egyptian audience. We uploaded some video of this concert on youtube. Please check it out. There is no Christmas on 25th of Dec in Egypt. (Coptic Christmas is 9th of Jan.) and also no “OSHO GATU” on 1st of Jan. (Islamic new year was 26th of Nov.in 2011),but merry Christmas and a happy new year! !